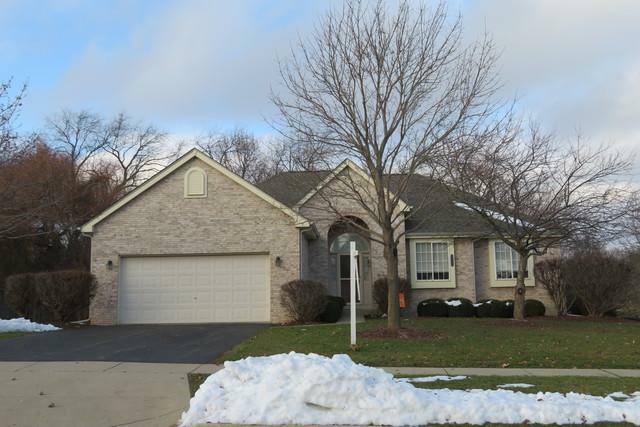 ONE OWNER, WELL MAINTAINED RANCH ON A REALLY NICE, WOODED AND PRIVATE LOT IN PARK RIDGE ESTATES. AN OPEN FLOOR PLAN CONCEPT, YOU'LL LIKE IT FROM THE FRONT DOOR - FOCAL POINT GAS FIREPLACE IN THE LIVING ROOM, OPEN KITCHEN (FEATURES ALL GE APPLIANCES AND ARISTOKRAFT CABINETRY) WITH BREAKFAST BAR AND DINING AREA, 3 GOOD SIZED BEDROOMS INCLUDING A LARGE MASTER BEDROOM WITH LARGE BATH (FEATURING A JETTED TUB, DOUBLE BOWL SINKS) AND CLOSET TOO. THATS NOT ALL. REALLY NICE FLORIDA/SUNROOM OFF THE DINING AREA AND A PAVER PATIO OUT BACK. MORE? YES, THERE IS A FULL UNFINISHED BASEMENT WITH ADDITIONAL BATH ROUGH-IN FOR A FUTURE BATH. SECURITY AND INTERCOM SYSTEMS. NEW FURNACE.